In creating “the world’s most connected car” the pressure is on our User Experience, or UX design team, to create the world’s best User Experience. To do this UX designers from Geely Design and CEVT decided to co-locate with fantastic results. We met with Fabiola Rodriguez, Senior UX Designer & Scrum Master at Geely Design and Malin Farmansson, UX designer at CEVT Infotainment. In this interview they talk about their goal of becoming Gothenburg’s best work place and most talented UX team. “The UX department is the perfect example of how CEVT and Geely Design can collaborate. We don’t see any difference between us when working towards delivering a good product. We are very aware that in digital development, design and technical know-how needs to go hand in hand. We all work together to create revolutionary User Experience” says Fabiola. Malin agrees: “Since graphic designers, interaction designer and developers are touching each other’s area a lot, it doesn’t make sense to be separated. Before, there was a lot of conflicts since we were affecting each other’s area all the time. Now when we work together, we feel that we do this together. There is less conflict and a much better spirit. Instead of limiting ourselves we are now challenging each other”. They explain that interaction designers from CEVT and Geely Design share the same education but with a different focus. The ultimate goal is that all become cross disciplinary experts that can communicate with different forums and thrive for good user experience solutions regardless of the focus area. They also have great developers in their team who are the ones responsible for realizing the concepts. “We learn day by day from each other and in that way become better designers. I believe we have high chances of becoming a world leading UX department and that is not something many OEMs can say today” says Fabiola. They mention their concept as something they are particularly proud of. Malin explains: “It is awesome. It is fresh, connected and super easy to use! The rest of the automotive industry is not there yet. It is still a lot of small touch areas, tricky systems to use while driving and not so smart functions. Like one of our users in New York explained it – today refrigerators are smarter than cars – Our users want to have smart cars and being up to date on social media. That is the reality. Our concept dares to be different to traditional cars on the market, since we think it is super important to listen to our users and to create a concept for them”. They explain that this also includes services around the car, other digital devices or portals that can connect to the car, or how the interior of the car enhances experiences and why not how the exterior of the car can communicate as well. 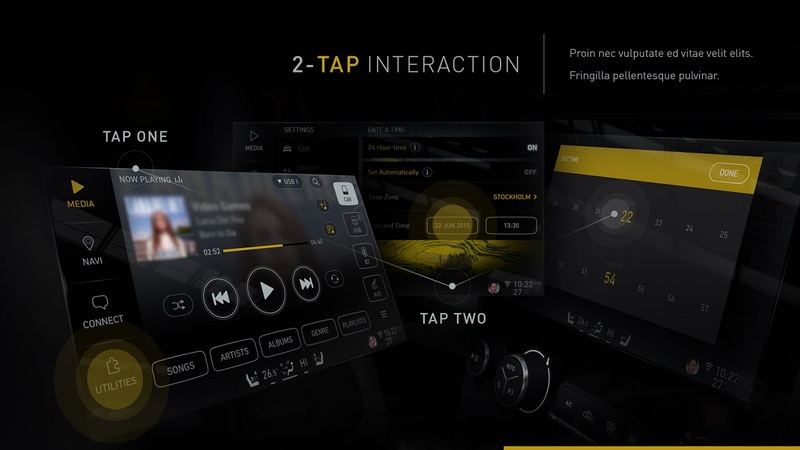 “We think that having a broad approach to how our users will experience their car from different touch points determines how users will feel about the brand. We need to be disruptive and ahead of our time in order not to be left behind. To do so, within User Experience, a lot of research and strategizing is needed, the visual part is just the tip of the iceberg. Together we are working on creating strategies to accomplish our goal of becoming Gothenburg’s best work place and most talented UX team”, says Fabiola. “To create the best user experience you need different competences: interaction designer, graphic designers and developers. 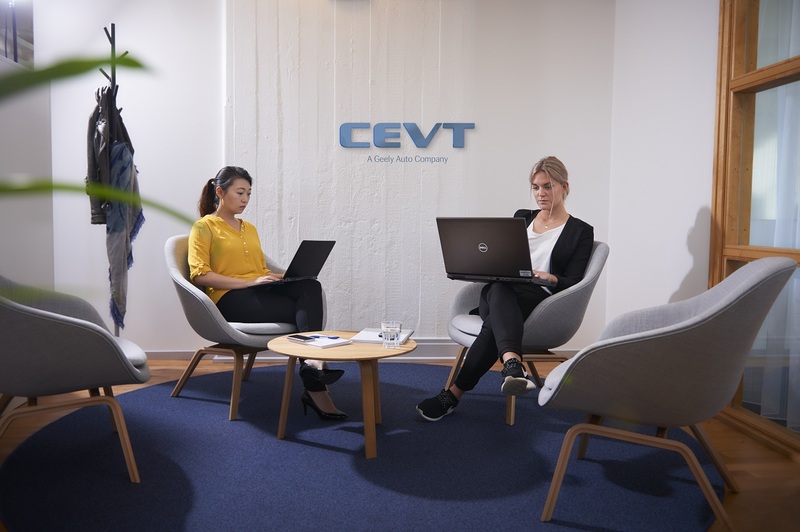 Both CEVT and Geely Design has these competences and together we are creating the best user experience”, Malin concludes.